The once heralded U.S. nuclear renaissance is turning out to be a nightmare for Toshiba Corp. The Japanese company said Tuesday it may have to write down billions related to an acquisition made by U.S. unit Westinghouse Electric that was geared toward completing the newest generation of reactors at two U.S. facilities. The projects, overseen by utilities Southern Co. and Scana Corp., are years behind schedule and billions of dollars over budget. Southern’s nuclear expansion in Georgia and Scana’s in South Carolina were once viewed as part of a rebirth of the U.S. atomic power industry, which hadn’t seen a new reactor licensed in three decades. However, stumbles with those projects, the nuclear disaster in Fukushima and a flood of cheap natural gas that lowered U.S. power prices made new reactors increasingly expensive and risky. Westinghouse’s purchase of contractor CB&I Stone & Webster Inc. resulted in a settlement with the utilities regarding legal disputes over construction delays and cost overruns. However, Westinghouse and CB&I have squabbled in court over how expensive the delays will be and who should pay for them. Last week, Southern won approval from Georgia regulators to raise the capital costs of Units 3 and 4 at its Plant Vogtle by $1.3 billion to $5.68 billion. The action came after Southern agreed to resolve its dispute with Westinghouse and CB&I by paying $350 million. The parties also agreed that the units would be finished in 2019 and 2020, more than three years behind schedule. Scana said the settlement with the contractors revised the completion schedule for its reactors at V.C. Summer to 2019 and 2020 and also raised the expense of its project. Toshiba underestimated costs of projects in the U.S., Mamoru Hatazawa, the company’s executive officer in charge of the nuclear business, told a briefing in Tokyo. While Toshiba is evaluating the exact reasons, much of the miscalculation centered on the local cost of labor and the amount of materials needed, Hatazawa said. Southern and Scana didn’t immediately return requests for comment. Westinghouse declined to comment on cost overruns and schedules. TOKYO — Toshiba, the Japanese technology conglomerate, has spent a decade and billions of dollars building itself into one of the largest players in the global nuclear power industry by buying up rivals. The result has been a financial quagmire — one that is about to deepen. Toshiba warned on Tuesday that it might need to write off “several billion U.S. dollars” because of its purchase of an American construction firm that specializes in nuclear power projects. In a statement, Toshiba said it was still figuring out the size of the write-off, which was related to its acquisition a year ago of the business, CB&I Stone & Webster. The scale of the potential write-off was notable given that Toshiba’s nuclear subsidiary in the United States, Westinghouse, bought the business for $229 million. Toshiba’s share price dropped 12 percent on Tuesday. Toshiba and CB&I Stone & Webster’s former parent, the engineering group Chicago Bridge & Iron Company, have been arguing over the business’s true value ever since the deal closed. Projects that CB&I Stone & Webster is working on have been hit by delays and cost overruns. In dueling legal claims, Westinghouse and Chicago Bridge & Iron have been disputing how expensive the delays will be and which company should take the financial hit. The purchase was a gamble from the start: The Toshiba subsidiary was paying relatively little to buy the business, but its ultimate costs could end up being many times higher if things went badly. That outcome now looks likely. “Westinghouse has found that the cost to complete the U.S. projects will far surpass the original estimates, mainly due to increases in key project parameters, resulting in far lower asset value than originally determined,” Toshiba said on Tuesday. Toshiba’s nuclear ambitions have hammered its bottom line. Prospects for companies central to its expanding empire have soured, their revenue failing to cover what Toshiba paid to buy them. Toshiba bought Westinghouse in 2006 for $5.4 billion, in a deal that proved to be expensive and ill-timed. Toshiba took a $2.3 billion write-down on the acquisition last year. That followed embarrassing revelations about its accounting practices, in which it acknowledged overstating revenue at a number of its divisions, including nuclear power. Even at the time of the Westinghouse purchase, many analysts said Toshiba was paying too much for the company. Then came the global financial crisis and an accelerating revolution in shale oil and gas extraction, which reduced the cost of more traditional alternatives to nuclear power. The nuclear meltdowns in Fukushima, Japan, in 2011 compounded Toshiba’s problems by crippling the atomic power industry in Japan, contributing to delays and downsizing elsewhere. Despite such problems, Toshiba sees nuclear power as a better bet than other businesses like consumer electronics, in which Japanese companies have lost competitiveness to rivals in China. 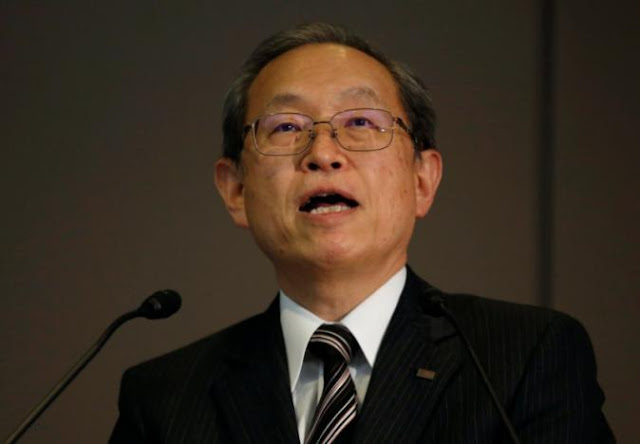 Toshiba’s chief executive, Satoshi Tsunakawa, reaffirmed the company’s commitment to nuclear power this year after he was appointed in a management shake-up following the accounting scandal. “It’s achievable,” Mr. Tsunakawa told reporters in June, referring to the company’s official goal of building 45 nuclear reactors around the world by fiscal 2030. Industry analysts have said that the target is a stretch. In the United States, Westinghouse has been working with CB&I Stone & Webster on two projects to expand existing nuclear power stations by building new reactors. The projects, at the V.C. Summer station in South Carolina and the Alvin W. Vogtle plant in Georgia, are several years behind schedule and billions of dollars over budget. The write-off that Toshiba warned about on Tuesday hinges on the portion of CB&I Stone & Webster’s value that accountants call good will — essentially, the premium that an acquirer pays over the value of a company’s tangible assets, like factories and equipment. Toshiba said it initially estimated that premium at $87 million. But after a review, it said, it now believed the premium was far larger — so large, in fact, that CB&I Stone & Webster was in effect worth less than nothing when Toshiba bought it. It was possible, Toshiba said, that “all or part” of the difference would have to be deducted from its own financial accounts. Toshiba Corp said it may have to book several billion dollars in charges related to a U.S. nuclear power plant construction company acquisition, sending its stock tumbling 12 percent and rekindling concerns about its accounting acumen. Toshiba's announcement came as its Westinghouse Electric Company subsidiary is engaged in a legal and accounting row with CB&I, which has argued in court that it expected a relatively small payment from Westinghouse of only $161 million when the deal closed on the understanding that the latter was taking on a challenged business. Toshiba's latest writedown would be another slap in the face for a sprawling conglomerate hoping to recover from a $1.3-billion accounting scandal, as well as a writedown of more than $2 billion for its nuclear business in the last financial year. "This will come as an additional shock to Toshiba's institutional investors that may further undermine confidence in company management, as well as significantly weakening its international nuclear credentials," said Tom O'Sullivan, founder of energy consultancy Mathyos Japan. O'Sullivan noted the acquisition in December 2015 coincided with the finalizing of a record fine by Japanese regulators for accounting irregularities at Toshiba, indicating that corporate governance controls were extremely weak. As of end-September, Toshiba had shareholders' equity of 363 billion yen, or just 7.5 percent of assets, which could fall close to zero if the company is forced to log significant losses. Clashing over who should shoulder potential liabilities related to cost overruns and over calculations for net working capital for the unit, CB&I sued Toshiba's Westinghouse division after Westinghouse said it was owed more than $2 billion. Shares in Toshiba, which remains on the Tokyo bourse's watch list due to concerns about internal controls, finished 12 percent lower, giving it a market value of around $14.2 billion. CB&I shares were flat in afternoon trading in New York on Tuesday at $34.19. "There will be a lot of companies that want to buy Toshiba's businesses," Ishino said. "It is possible that its NAND flash memory business would attract various buyout offers as there are few players in the market," he said. 0 Response to "Toshiba Finds U.S Nuclear Renaissance a Nightmare for Costs"